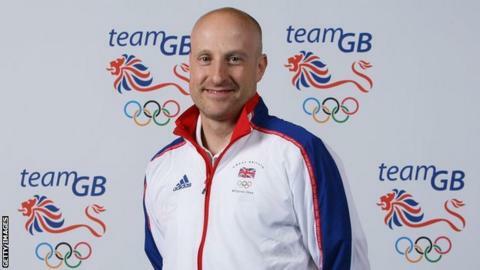 GB Taekwondo has denied any suggestions of bias after overlooking Aaron Cook for London 2012 selection. It follows the decision by the British Olympic Association to veto the original nomination of Lutalo Muhammad. "It disappoints me that there seems to be a feeling of a witch-hunt going on," said GB performance director Gary Hall. "There has been no hidden weighting [in favour of Muhammad] and we have followed the very strict and clear rules of our selection criteria." Hall continued: "The selection panel have served the sport well in recent years - making some very difficult decisions, but they have helped us become a world force in taekwondo. "For the media to question their integrity and how they voted with the information they possessed is inappropriate." The GB Taekwondo chief says he respects the the BOA's ruling and that, after deciding not to appeal against the decision, the selection panel will take its recommendations into consideration and aim to resolve the situation by the middle of next week. But Hall, who has overseen record medal hauls at successive European and World Championships, says Cook's high-profile backing has not helped the already difficult decisions the sport has had to make. "In some ways, Aaron has a bigger marketing machine than the whole of GB Taekwondo," he said. "We massively respect the media machine behind Aaron because, utilised in the right way, it can be great for him and the sport. "But we have to cut through it all and make a decision without all of the added people who have come out in support and created media messaging." Cook quit the GB Taekwondo world-class performance programme in June last year following an "embarrassing" first-round elimination at the World Championships in South Korea. Last week, Cook's former team-mate John Cullen suggested there were some in the GB camp who felt the fighter's subsequent success had reflected negatively on the British programme, but Hall denies this. "It's about selecting the best athlete to get the best results at the Olympic Games, no matter whether they are inside of outside of the programme," said Hall. "It would be naive to think the success of Aaron would not still reflect well on British taekwondo - it would, because he would have come into Team GB." Hall also revealed that he had made an offer to Cook after the fighter decided to go it alone last year - something the Cook's management team have subsequently strongly denied. "When Aaron left we said we were disappointed, but wished him good luck. "We went on record to say give us a plan, let us study it and see if it's something we can invest in. That plan never materialised and therefore we could not invest. "There have been links [in the media] between this decision [not to nominate Cook for London 2012] and the moment he left the programme and that's simply never been on the table. It happened a long time ago." Hall admits he is "very concerned" at the impact the coverage will have on Team GB's other fighters, world champion Sarah Stevenson, Martin Stamper and Jade Jones, whose selection was officially confirmed on Friday. However, he says GB Taekwondo is "more determined than ever" to select the right athlete in the -80kg division for London 2012. "We believe in the selection policy and the way we have operated is water-tight because it was approved by he BOA and UK Sport, but we will now review that. "We need to take stock of what the BOA have said and make sure we get it right this time." Stevenson said: "To be world number one on a rankings system is not what taekwondo is, it doesn't mean you're the best in the world. "I don't even care or know what ranking I am, and people need to realise this. It's really unfair that GB Taekwondo are getting criticised for not picking a world number one. "It's numbers on a list, it's not tennis, it's taekwondo and I am really passionate about that."